Susan Verde believes every child's experience is unique and should be celebrated! Her books tell tales of magical museum visits, share the keys to lasting friendships and help you find a moment of calm in a sea of busy. She regularly visits schools nationwide to share how she became a children's book author, share some insights to the writing process and pair a book reading with craft or learning activity. When I see a work of art, something happens in my heart! As a little girl tours and twirls through the halls of the art museum, she finds herself on an exciting adventure. You and Me is a loving tribute to how fate brought two best friends together. An adorable cat muses about the what-ifs in life. With its wide sky and warm earth, Princess Gie Gie’s kingdom is a beautiful land. But clean drinking water is scarce in her small African village. And try as she might, Gie Gie cannot bring the water closer; she cannot make it run clearer. Every morning, she rises before the sun to make the long journey to the well. This book received a Starred Kirkus Review and won the ALA Award for Notable Children's Book in 2017. If you want to find about the real Water Princess and how to help bring water to those in need in Burkina Faso please visit georgiebadielfoundation.org. A portion of proceeds also support's Ryan's Well, which you can learn more about at www.ryanswell.ca/. Boys love sneakers. But when a child finds that his toes have outgrown his favorite shoes, and they’ve gotten too dirty and smelly, his mom says it’s time for a new pair. 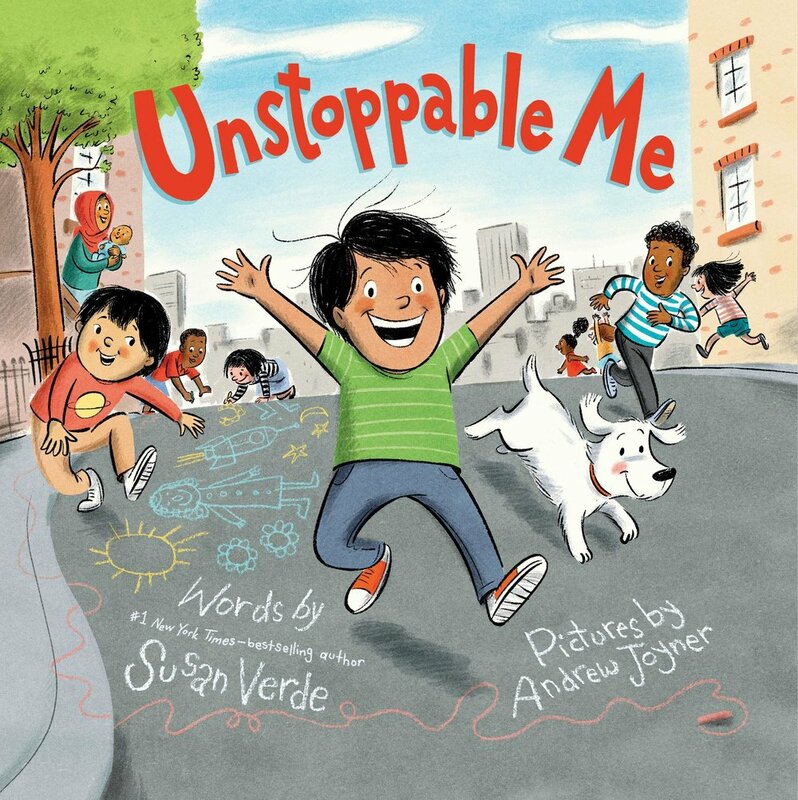 Unstoppable Me is about the sort of energetic child we all know and love ― full of fun and play...and a bit exhausting! In this book, we see an unstoppable little boy, run, jump, and soar through his day. He takes a little time to refuel, then he's back at it―zooming and zipping around. This poetic, joyful book―filled with illustrations as bright and energetic as the boy himself― is a celebration of the active child. Susan Verde and Peter H. Reynolds continue their collaboration with the fourth book in their bestselling wellness series. A celebration of love in all its forms, I Am Love asks readers to look inward when they feel afraid. Love allows us to act with compassion and kindness, to live with gratitude, and to take care of ourselves by practicing self-love. Stay up to date on events, promotions and more by signing up for Susan's FREE newsletter!